Even though I'm not currently taking sponsors, I wanted to do something around the holiday time to promote handmade shops. Thus, the 12 Days of Handmade Holidays was born. Okay, it may be a wee bit early for Christmas music! 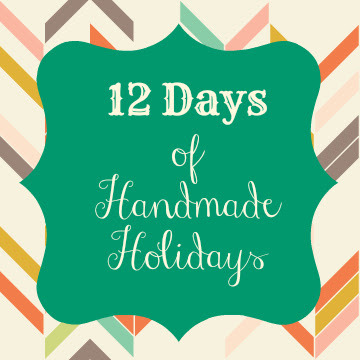 What is the 12 Days of Handmade Holidays? At the end of the 12 days, there will be a giveaway to celebrate! Do you have a handmade shop? Would you like to do a little holiday-time promoting without a hefty price tag? A short post just about your shop and products. You can include coupon codes or holiday promotions in the post. At the end of the 12 days, I'll also write up a summary post with all the shop links. At the end of all my posts through Christmas, there will be a link to the Handmade Holiday Shops post. Interested? Send me an e-mail, twitter message (@homeforhireblog), or comment on this post and I'll send you more details. Questions? Just ask! I have up to 24 spots available so hurry and secure a spot today!